Finding a great local pub is like finding the Holy Grail. 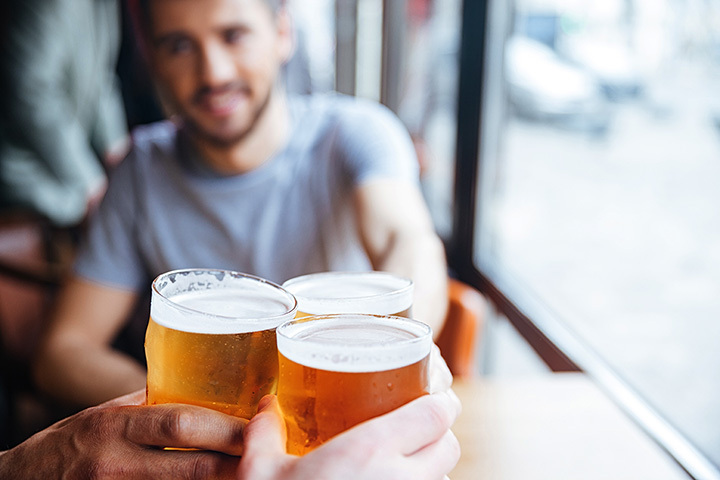 For sports fans, gregarious community members, and beer connoisseurs, becoming a regular at a local pub is the end-all-be-all of good times. Come in to any of the following 10 best pubs in Maryland to find a place where everyone will soon know your name. The Pickles pub in Baltimore, Maryland, is one of the most recognizable spots in Baltimore. For over 25 years, Pickles Pub has been “the #1 place for sports fans to watch their favorite teams.” Come in for an Orioles or Ravens game and enjoy burgers, sandwiches, drinks, and a good time. The Breaker’s Pub in Ocean City, Maryland, is one of the most beautiful spots to enjoy the Ocean City views. Take in the gorgeous blue water beachside while enjoying a drink and good company. The pub is part of the Clarion Resort Fontainebleau Hotel, but it’s open to the public and ready for you. The Roasthouse Pub is “where real people come to drink real beer.” The pub features over 20 taps with tons of alternating options. Check their website to sign up for text updates and see regularly scheduled events. The Ram’s Head Tavern in Annapolis has been in business since 1989. They are a traditional pub with a tavern feel. Regular events include beer release parties, Mother’s Day events, and more. They even have a brewery on-site. Finengan’s Wake Irish Pub is a traditional Irish pub with wonderful food options, including weekend brunch Enjoy $15 bottomless mimosas and Bloody Marys while delving head-first into your weekend fun. Whether you’re coming in for a drink after a hard day of work or stopping in for a Lamb Slider dinner, you’re in for a treat. The 4 Corners Pub in Silver Spring, Maryland, styles itself as “your family friendly neighborhood pub.” Order a beer. Enjoy a pizza. Explore their weekly specials and barbecue options. The sky’s the limit at the 4 Corners. Marloo’s Pub and Grill “is dedicated to providing excellence in customer service and casual pub fare.” This is the type of place you come to when you want pub food, but elevated. They have live music nearly every week and tons of beer options on tap. Tyber Bierhaus brings the proud German tradition of beer gardens to Bethesda. They are well known as one of the best beer gardens in the DC, Maryland, Virginia corridor with 20 Belgian, Czech, and German beers on tap. Stop in every Tuesday—Friday for happy hour from 4-7 p.m.. The Dogfish Ale House has three locations: two in Virginia and one in Gaithersburg, Maryland. Craft beers from the Dogfish Head Brewery round out the menu, along with wood-fire grilled options like burgers, pizzas, and seafood. The beer menu changes daily, so make sure to come in regularly to see what’s what. One recent reviewer of Oliver’s Old Towne Tavern in Laurel, Maryland, explained it best: Oliver’s delivers “strong drinks and good service.” What more can you ask for in a local pub? Watch your favorite game, enjoy the pub-style menu, and have a few drinks at the local watering hole.